The Supreme Court of the United States recently decided Janus v. American Federation of State, County, and Municipal Employees, Council 31, 585 U.S. _ (2018) (“Janus”). 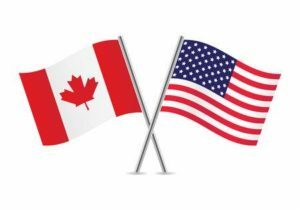 The decision, which has been widely described as “devastating” for public sector unions in the United States, serves to highlight important differences between the Canadian and American approaches to labour relations. The plaintiff, Mr. Janus, was a social worker employed by the government of Illinois. The AFSCME is the exclusive bargaining agent for all state employees, but Illinois law permits individual employees to “resign” from the union if they so choose. An employee who resigns from their union is still required to pay an “agency fee”, which is intended to cover the cost of the union’s collective bargaining efforts (all employees are covered by the collective agreement, even those who have resigned from the union). This arrangement ensures that no employee is compelled to pay for the union’s political activities, which would be compelled political speech in violation of the First Amendment (the First Amendment, which protects freedom of speech, is analogous to Section 2 of the Canadian Charter of Rights and Freedoms). Mr. Janus argued that he should not be required to pay the agency fee, even if he is protected by the collective agreement. The Supreme Court agreed, holding that agency fees violate the First Amendment rights of employees like Mr. Janus. Now, unions must provide their bargaining services for free (or, alternatively, ensure that collective agreements do not apply to non-members). Unions in the United States are expected to lose at least 10% of their members as a result of the Janus decision. In Canada, Mr. Janus would not have had the option of resigning from his union. The so-called “automatic check-off” system, in which the employer is required to deduct all union fees from the employee’s paycheque, has been the norm throughout Canada for decades (the automatic check-off system is also known as the “Rand formula”, after Justice Ivan Rand of the Supreme Court of Canada). In Lavigne v Ontario Public Service Employees Union,  2 SCR 2011, the Supreme Court unanimously rejected a Charter challenge to the automatic check-off system. Four of the seven justices held that Mr. Lavigne’s Charter rights had not been violated, and the remaining three held that the violation was justified under Section 1 of the Charter (which sets “reasonable limits” on all Charter rights). The differences between Canada and the United States are clear. In the United States, constitutional rights operate to restrict union activities. In Canada, the collective bargaining process—including the right to strike—is protected by the constitution, as recognized by the Supreme Court in Saskatchewan Federation of Labour v Saskatchewan, 2015 SCC 4. More broadly, there is an expectation that employers take unions—and the collective bargaining process—seriously. That expectation is entrenched in law, and employers should always conduct themselves accordingly.